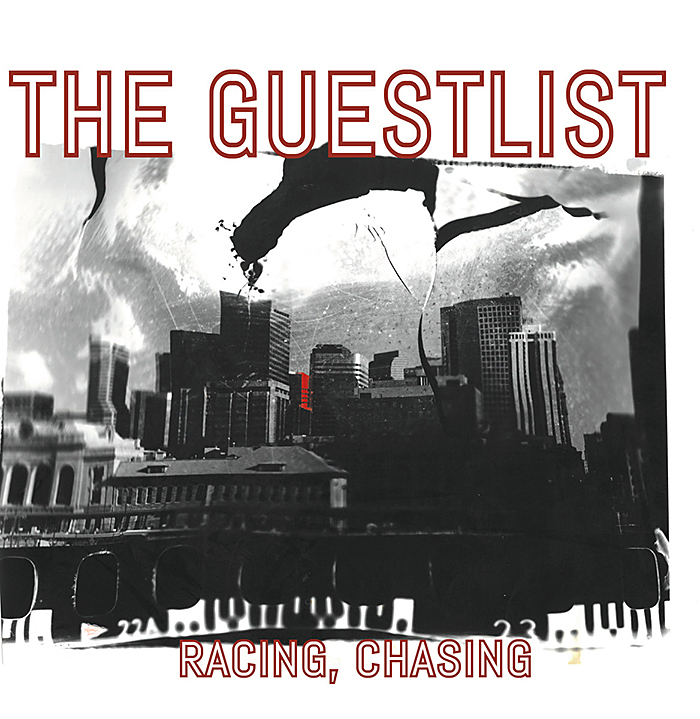 On their sophomore release, Racing, Chasing, Denver’s The Guestlist show a warped bit of exposed film that depicts a distorted and cracked image of Denver’s skyline. It’s a relatively ominous design for such an upbeat romp of old-fashioned blue-eyed soul, but hints to the twist that not only Denver but a specific section of Denver that is in the midst of creating its own South Broadway Soul sound. With a stomping kick drum and bassline that rivals The White Stripes’ “Seven Nation Army,” The Guestlist kick off “Back To The Dream,” which swells into a horn-crazed battle cry, setting the tone of the party. But with the follow-up track and the album’s lead single “Lonely,” which features Sarah Anderson of Paper Bird, The Guestlist thrown down a horn-heavy, revivalist soul number that is one of the happiest songs about loneliness in history. In the accompanying video, Anderson plays an artist and ill-treated barista at a Colfax coffee shop, who escapes into her drawings and the loneliness of the mountains. With only six members — a standard rock quartet made up of Josh Moorehead on guitars and vocals, Tate Igneizi on percussion, Cameron Wyman on bass and Zach Holcomb on keyboards, accompanied by trumpet and saxophone players Eric Estrada and Kyle Videtzky — The Guestlist create a sound far greater than their numbers. The album was produced by Paper Bird’s Mark Anderson at Hum House in Denver, who allowed for a spontaneous, in the moment arrangement in the studio, which gives Racing, Chasing an unpretentious and welcoming vibe. It’s a vibe that lasts throughout the entire record, until, on the final seconds of the closing song “Waiting to Celebrate,” it sounds as if someone kicked out the cord on the turntable. It’s an abrupt, obtuse ending to the raucous album, but one that easily conjures the image of police breaking up an out-of-hand house party, and with so much fun already had over 11 tracks there’s no energy left anyway.